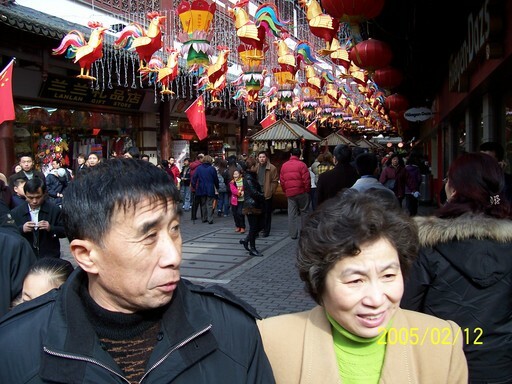 Our visit to Shanghai corresponded with Chinese new year. 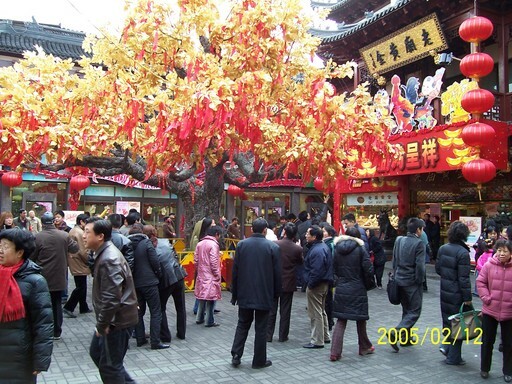 As this time, people write wishes on ribbons and throw them into this tree in a Shanghai shopping mall. 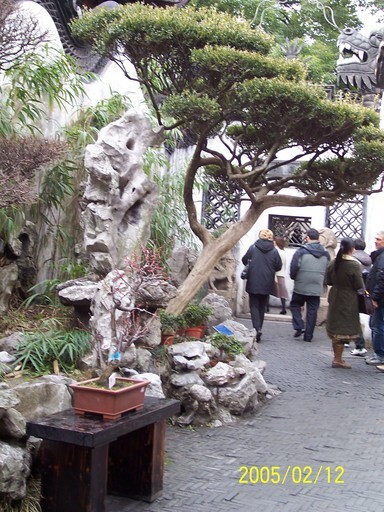 Also within the shopping center is a garden hundreds of years old. 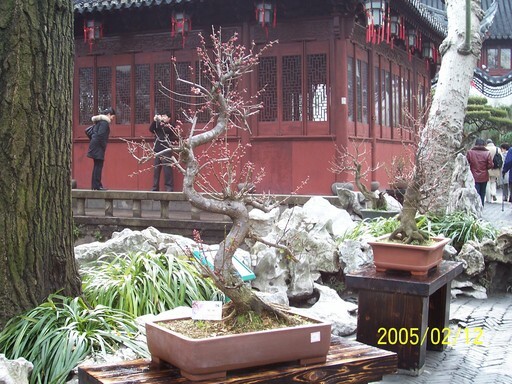 Bonsai in the garden. This one is at least a century old. 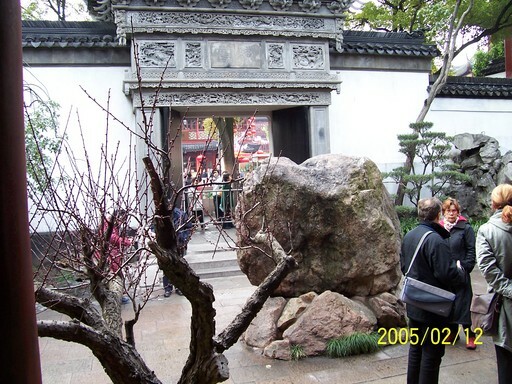 This stone is called a "jade" for its beauty; it is not made of jade. More decorations for Chinese New Years. 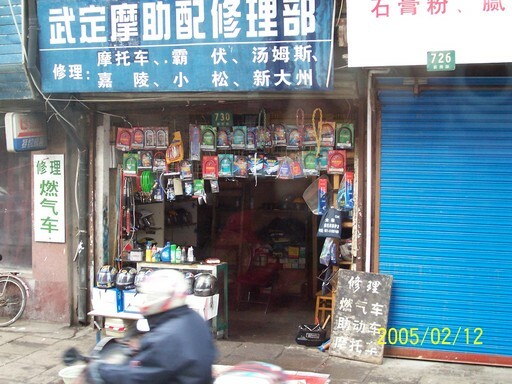 Old style Chinese streets feature dozens of narrow shops. Behind these a new building is rising. 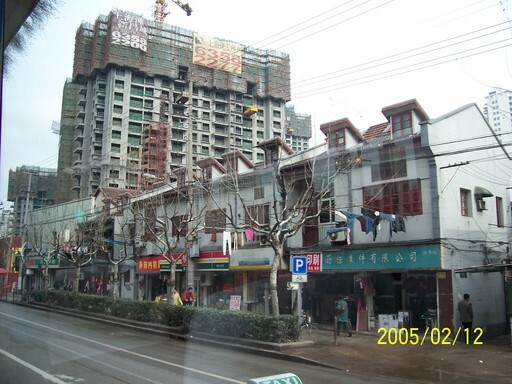 Often the scaffolding is bamboo, though more steel is now being used than ten years ago. 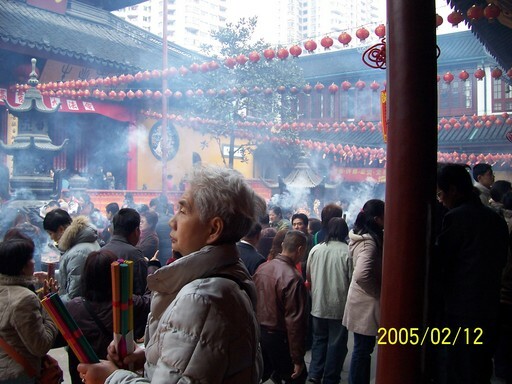 Praying at New Years in the Temple of the Jade Buddha. The haze is incense burning. 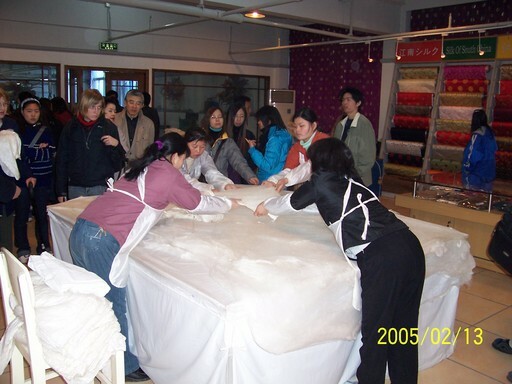 Making a quilt lining by stretching mashed silk worm cocoons. 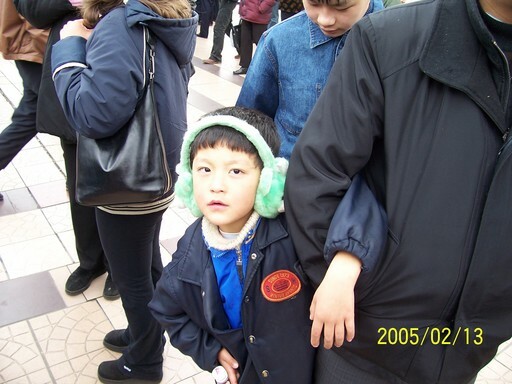 While walking on the Bund, Shanghai's portside park, this little boy was as curious about me as I of him. 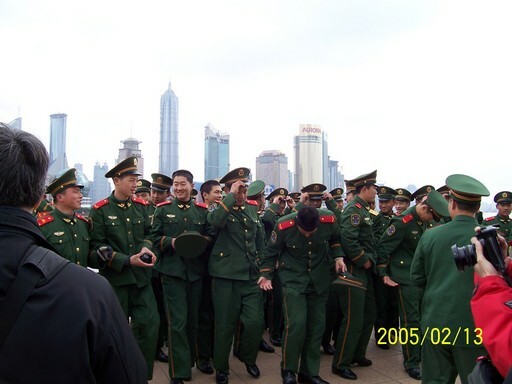 The Chinese army enjoying an outing on Shanghai's Bund. 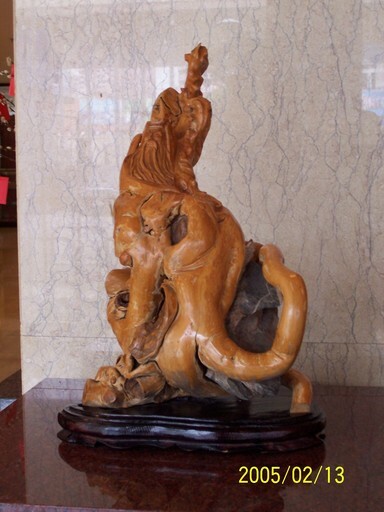 This enigmatic tree root was displayed in the lobby of our hotel.